This week I attended the kick-off breakfast for the 2014 Kingston, Lennox, Frontenac and Addington United Way Campaign. The room was packed with more than 500 community leaders and volunteers who run campaigns in their workplace. This year, the goal for our region is $3,481,000. 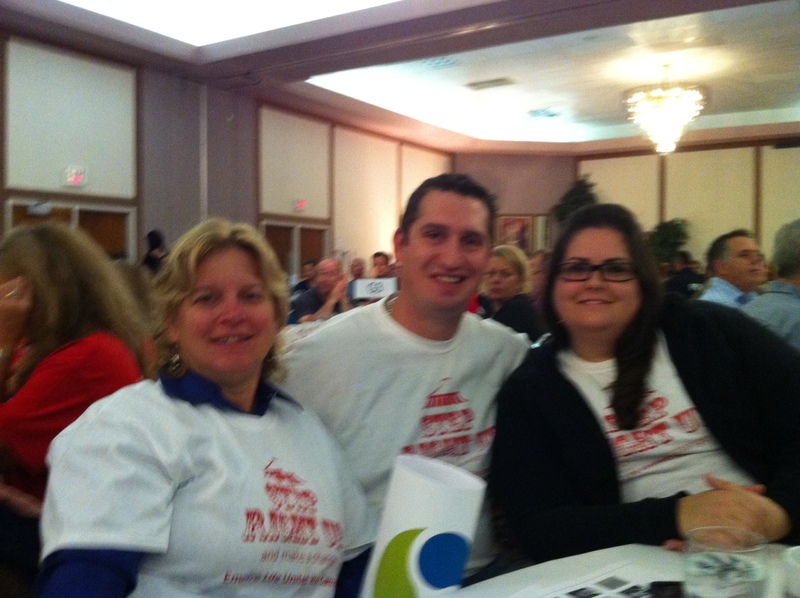 Our company, Empire Life is a huge supporter of United Way and always runs a fantastic campaign. This year our theme is “Step right up and make a change”, and we’ll be planning lots of fun events based on a carnival theme to raise almost $300,000. That’s a lot of change. Over the years, United Way has become a charity of choice for me. I’m personally invested for two main reasons. One, it is the one charity where my money goes directly back into my own community and is distributed across many agencies and areas of need to help my neighbours, my colleagues, my friends. The other reason is I’ve seen first-hand the incredible work United Way agencies do. I’ve been on the Board of Kingston Literacy and Skills, volunteered with CNIB, have worked for the day at places like Kingston Interval House and Kingston Youth Shelter as part of the Day of Caring, and visited other agencies through the United Way Seeing is Believing tour. There is a third reason, knowing some day that could be me. We are all one pink slip, one medical crisis away from our lives changing inexorably. Life is fragile. In a flash, everything you hold dear can change, as we heard firsthand at the breakfast when 15-year old Oscar Evans described how his life changed after a chemical accident at the age of 13 when he became blind. We may all need help some day. I, for one, am grateful the United Way is there when that day comes. This week’s #HappyAct is to step up and make a change by giving to United Way. If you live in a community where you aren’t as aware of the incredible work United Way does, make it a point of finding out. Volunteer for an agency or ask about a Seeing is Believing tour in your community (there is one in Kingston on September 23, find more details here.) Special thanks to the Empire Life team who braved the miserable rain yesterday at our 6th annual Community Garage Sale for United Way. You guys are amazing!